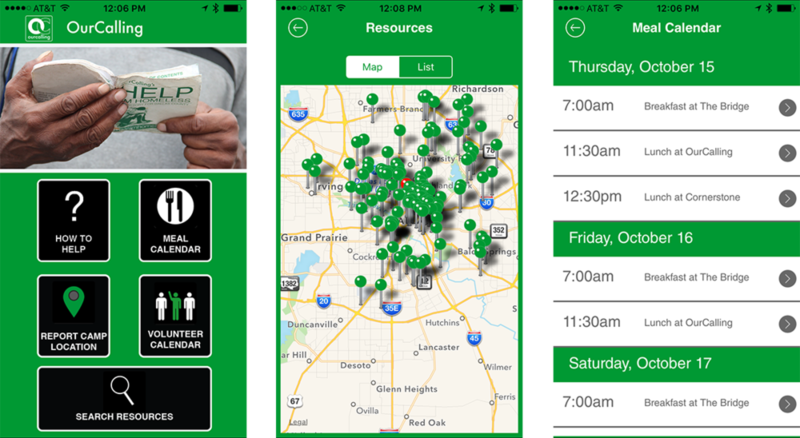 Gain access to the most accurate database of service providers for the poor in Dallas. View resource listings on a map or sort the list by distance from your location. See a calendar for free meals in Dallas with details on locations, times, and descriptions. Find opportunities to serve with OurCalling. Report homeless camps using a photo & GPS and an OurCalling team will visit and minister to the site. Visit the OurCalling app page for more information and download this awesome resource today! Older PostMission Report Newsletter Has Arrived!